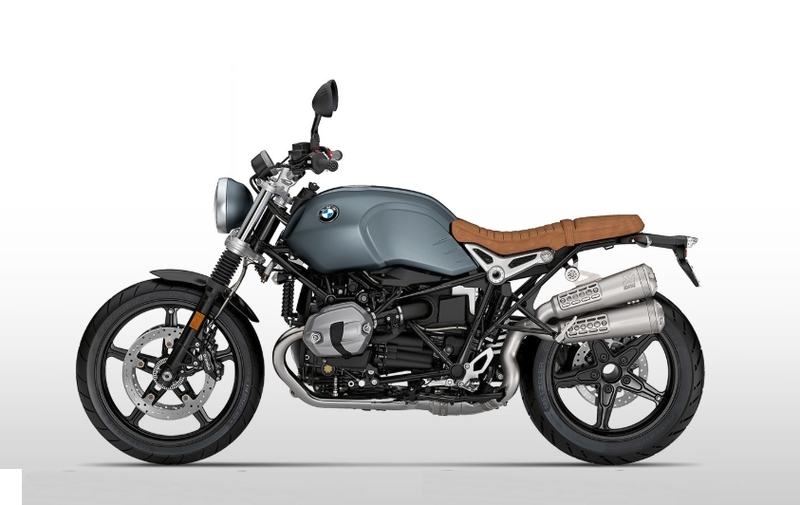 The R nineT Scrambler harks back to the legendary scrambler era and has all the hallmarks of this extraordinary type of motorcycle: a telescopic fork with bellows, a distinctive raised exhaust and a large, 19-inch front wheel. The compact steel tank in Stereo Metallic Matte highlights the purist look. The seat in leather style and the tachometer with analog display are also eye-catchers. High-quality details like the round headlights with BMW emblem make this classic heritage bike look perfect. 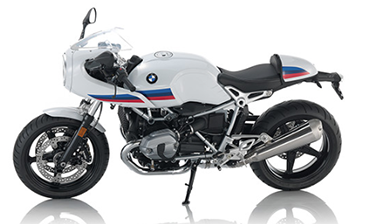 The engine and electrical system are already proven components of the BMW R nineT. The beefy, air-cooled twin-cylinder boxer engine features a capacity of 1,170 cc and 110 hp of output for a highly dynamic riding experience. Thanks to standard ABS and optional ASC (Automatic Stability Control) you can take this power safely to the streets any time. A relaxed upright seated riding position is one of the key features of a Scrambler. It not only looks laid back, it also makes for a relaxed ride feel. Even long rides to the nearest beach are a breeze thanks to the bike’s higher handlebars as compared with the R nineT, slightly reduced seat thickness and footrests that are positioned somewhat lower and further to the rear. 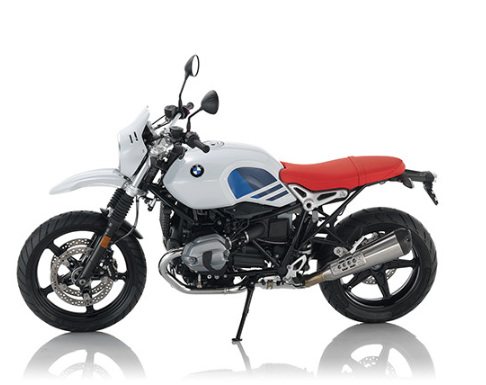 Your motorcycle, your choice: There are three different paint colors for the R nineT Scrambler. 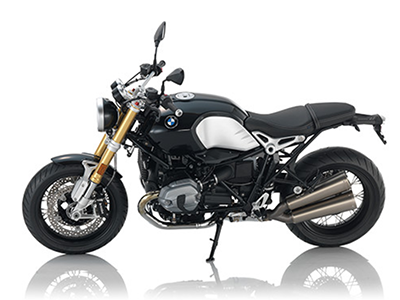 Choose between Stereo Metallic Matte or the two BMW Motorrad Spezial finishes – Option 719 Black Storm Metallic/Aurum and Option 719 Black Storm Metallic/Light White.